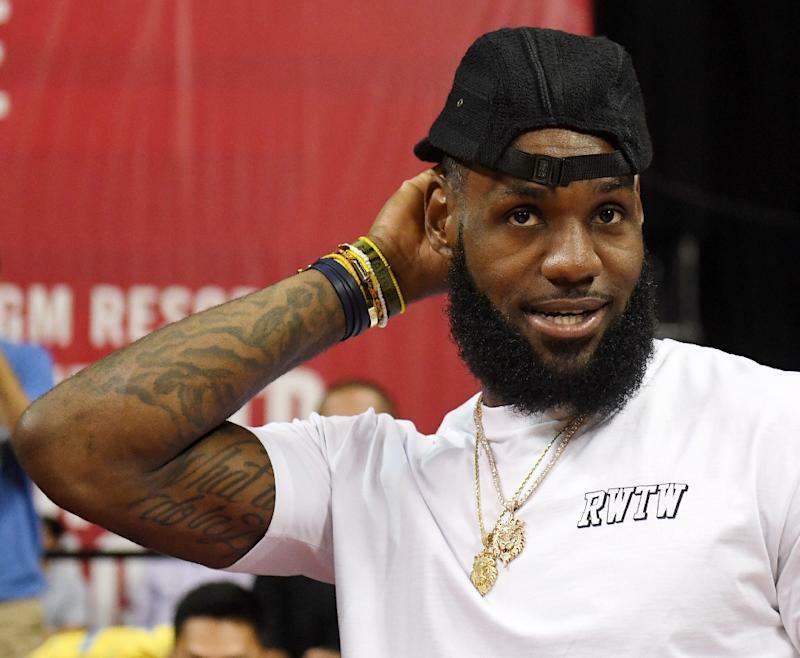 Los Angeles (AFP) - With their new superstar LeBron James looking on, the Los Angeles Lakers reached the semi-finals of the NBA summer league Sunday with a 101-78 win over the Detroit Pistons in Las Vegas. The Lakers leapt to a 33-14 lead after one quarter and never trailed. Svi Mykhailiuk paced the Lakers with 19 points, pulling down four rebounds and doling out two assists. Josh Hart added 18 points, four assists, two rebounds and two steals and Xavier Rathan-Mayes chipped in 11 points. At the pre-season tournament that typically gives rookies and young playmakers a chance to hone their skills and make their case for roster spots in the regular season, James created a sensation when he arrived to watch the Lakers' game clad in gold Lakers shorts and purple shoes. He departed before the summer league lineup of his former team, the Cleveland Cavaliers, beat the Toronto Raptors 82-68 to set up a semi-final clash with the Lakers. James signed his new four-year contract worth $154 million with the Lakers earlier this month, a move that Lakers president Earvin "Magic" Johnson called a "huge step" for the team. James made it known on July 1, at the start of the free agency period, that he would depart the Cavaliers for a second time and join the Lakers, ending months of frenzied speculation about the NBA superstar's next career move.